Are you interested in challenging the government’s huge increase in court fees? Don’t let them get away with it without challenge! The fee hike – coming in later this month – will affect people bringing a wide range of civil cases, including consumer claims, family cases, personal injury claims, landlord-tenant disputes, and private discrimination cases. It means that only those with deep enough pockets to afford these expensive new fees will be able to take cases to court to uphold and protect their rights. On Wednesday morning (18th Sept) the Liberal Democrats Conference discusses an emergency motion on legal aid which calls on the Government to ‘stay’/stop its proposals. 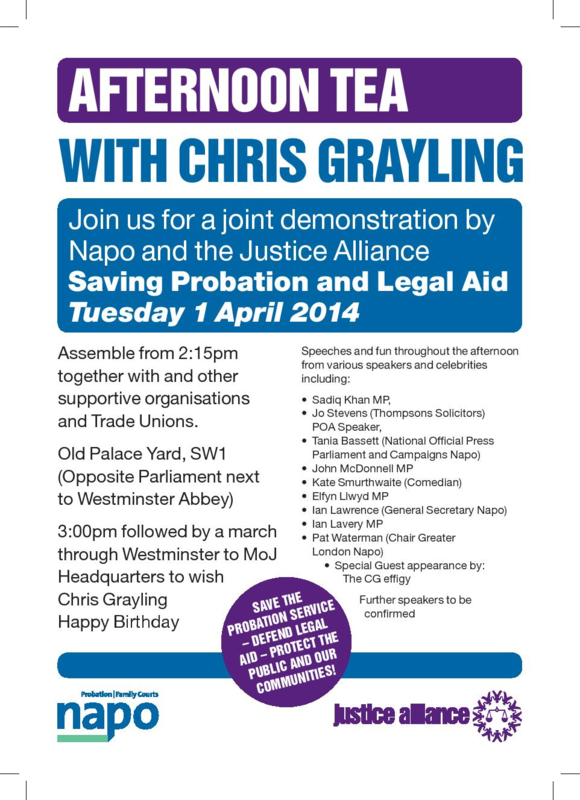 We need to lobby MPs to get them to support the motion as this could put some pressure on the Government and Grayling. Attached is a list of the Lib Dem marginals and London seats. Can you please email your Lib Dem MP in advance of Wednesday’s debate. You can find their email on this website http://findyourmp.parliament.uk/. See attached template word doc which you may wish to use, which draws on the sexual abuse of immigration detainees case in the Observer as a perfect example of the seriousness of these cuts. Will Legal Victory by MHRN against the Atos Tests be our Last? On the 22 May the Mental Health Resistance Network won their Judicial Review case against the Atos tests (WCA) and the impact on those with mental health issues. We congratulate them, the two people that took the case and the solicitors for the work they have done in exposing the WCA for the nightmare that it is for those with mental health issues and all disabled people. The DWP say they will appeal the ruling: we hope this is the beginning of the end for the WCA and the horrors that it is putting people through. However, this success would not have been possible without legal aid, and is tempered with further fears of the legal aid cuts. The Condems have already pushed through some of their wealth charter on justice and legal rights through their punitive cuts to legal aid for those facing benefit problems. Its not over yet-they now want to re-examine the process of Judicial reviews. However, the cuts so far are already affecting the process of judicial reviews because the new rules mean that those solicitors who take cases are less likely to be paid with the Condem cuts. We do not see all the work that goes into cases nor the effect that the cuts are having on those solicitors and legal firms who believe that justice has no class basis and is not restricted to those with wealth. But the Condems have cut funds to solicitors and CABs which means we have fewer allies to fight our cases. The Condems are doing a great job of removing every element of human rights, welfare and social justice from the British people. We cannot continue to let them get away with it without doing more and more about it. The proposals cover a range of aspects of legal aid including criminal work, prison law and judicial review and it can be difficult to get across what it means. In judicial review, for example, it’s hard to explain the impact of the proposal to prevent solicitors getting paid for all the work they do on cases if they don’t end up getting permission to go to a full hearing. So many cases succeed before that by just spelling out what the public body is doing wrong so they realise they have to sort it out. But there can be loads of work involved in getting to that stage and it would be really hard if lawyers can’t get paid for that at all. Judicial review lawyers and other legal aid lawyers will try everything they can to keep trying to help people but it just gets harder and harder to survive and already that means it’s hard to find someone skilled enough who can take cases on. What is clear is that disabled people will be disproportionately affected within each of the areas that is proposed to be cut – including disabled prisoners and others in the criminal justice system but also in areas like public law/judicial review which disabled people need help with more than ever now because of the effects of other cuts. People can submit stories of how legal aid has helped them (or hasn’t been able to help them because of the effect of the cuts already – eg in many areas there are ‘advice deserts’ where you simply can’t get hold of a lawyer with the right expertise). There are several about disabled people unable to fight injustice because of cuts already in place in many areas including the criminal justice system. We need to see more experiences good and bad – the issues and what can be done to sort them out are so invisible to most people. There aren’t many examples of disabled people tackling problems with social services cuts etc. The website makes it really simple to give the examples. It’s so important to show people that it’s not about lawyers, it’s about people who need advice, and it’s a false economy to deny them that, in so many ways not least undermining the rule of law because people have no real access to justice unless they are wealthy. Tweet share on Face Book and pass this on- its up to us! Guest Blog by Frances Trevena a member of Young Legal Aid Lawyers. It is common knowledge that Government plans to reduce the costs of public services are having a severe impact across society. This austerity plan is having a disproportionate impact on disabled people. It affects benefits, services provided both centrally and from Local Authorities and even basic community amenities that disabled people rely on. It is also affecting access to justice across a range of legal areas. The effect on access to justice will be particularly profound for disabled people. It may seem that it will not affect the vast majority of people, yet legal advisors in solicitors’ firms, citizens advice bureaux and law centres offer assistance to huge numbers of people who have lost out on benefits – including those who are wrongly assessed as able to work. They also help those who have problems at work, with their families or their homes. But this help is under threat if the Government gets its way on a law about to go before MPs. The Legal Aid, Sentencing and Punishment of Offenders Bill (also known as the Legal Aid Bill) sets out Government plans to cut free advice for many types of legal problems. People can currently access legal help in a variety of ways including visiting solicitors’ offices, telephoning a helpline or being referred by advice agencies to specialist services. All of these are designed to assist someone to find a solicitor and calculate whether they are eligible for Legal Aid. The Government has set out proposals to remove the option of face-to-face appointments and require anyone seeking Legal Aid to first contact a telephone advice gateway. The aim would be that this would act as “triage” and filter out those who did not require face-to-face legal advice. Disabled people in particular have seen how many of these contracted-out services are run to the detriment of their users. DPAC have written about the fiasco caused by ATOS carrying out assessments and the issue of benefit cuts. The Government has now conceded in the face of their own evidence that it would be inappropriate to include Community Care law as part of the initial trial. However, plans remain in place for other areas of Legal Aid law to be accessed through the telephone gateway. The first areas of law to be affected are debt, discrimination and special educational needs. The House of Lords changed the Legal Aid Bill so that the Government would not be able to set-up this mandatory telephone gateway. However, the Government can overturn this amendment when the Legal Aid Bill goes back to the House of Commons on 17 April. The Government wants to remove all welfare benefits advice from the Legal Aid scheme. The House of Lords took a strong stance against this following the Welfare Reform Bill and the increasing pressure to force people onto work programmes. They have changed the Legal Aid Bill so that Legal Aid will continue to be available for appeals against Department for Work and Pension decisions. However, the House of Commons can overturn this amendment when they debate the Legal Aid Bill again on 17 April. – Clinical Negligence claims: the removal of Legal Aid in gathering reports will mean that before a case is even begun, you will need to fund an expert report. – Employment: the Government is seeking to prevent someone from even having an initial publicly funded session with a Legal Aid lawyer. This has greater impact for disabled people, because they are most likely to face prejudice and harassment at work and discrimination in even getting in to work. – Housing: Legal Aid will fund only those who are at risk of losing their homes, even where initial advice and assistance could prevent this from happening. This is particularly important if you are living in a home where adaptations have been made for ease of mobility. If the Government proposals go ahead, then those who are no longer eligible for Legal Aid will be seeking access to justice from charities and the not-for-profit sector. However many charities and citizens advice bureaux are facing cuts in funding, not only from a loss of Legal Aid, but also from a reduction in external funding and particularly funds from Local Authorities who are withdrawing their support for services considered non-essential. It is of particular concern that where advice centres remain they will not necessarily have specialist staff who will be able to deal with specific problems. For disabled people, whose needs are often more complex and intersect a number of different areas, this is worrying. A recent report from the Young Legal Aid Lawyers (YLAL) has highlighted that faced with these cuts and nowhere else to turn people are likely to turn to their MPs to provide assistance. Of the MPs interviewed by YLAL a third of MPs spend somewhere between 50-75% of their time dealing with the issues of their constituents. To make matters worse, at the moment, MPs can refer these cases on to law firms and legal advice organisations if specialist, expert advice is required. Seventy-one per cent of MPs and caseworkers interviewed by YLAL had referred constituents to a legal adviser in the six months preceding the study. Having faced some amendments to the Bill, which were largely positive in the House of Lords, the Bill is now returning for final consideration in the House of Commons on 17 April 2012. Now is your final chance to have your say and to lobby your MP to act on your behalf. If you are concerned about the impact of the legal aid cuts on you, and on wider society, please take time to write to your MP urging them to vote for amendments to the Bill. Send them YLAL’s report (find a copy here) or Justice for All’s report on the challenges facing law centres and Citizens Advice Bureaux (available here). A quick link to a letter to your MP is here. Please spread the word now – we only have a few days left to save legal aid. Frances Trevena is a member of Young Legal Aid Lawyers. Young Legal Aid Lawyers (YLAL) is a group of lawyers who are committed to practising in those areas of law, both criminal and civil, that have traditionally been publicly funded. YLAL members include students, paralegals, trainee solicitors, pupil barristers and qualified junior lawyers based throughout England and Wales. We believe that the provision of good quality publicly funded legal help is essential to protecting the interests of those with least in society and upholding the rule of law.